When your data or important videos are stored on DVD, there is always a risk of the original DVD being lost or damaged. Hence, if you want your videos to be saved and protected from damage or being lost then you have to back up or rip your videos to keep them safe and watch them anytime anywhere on Mac, Mob or any device. To rip and backup your videos, we recommend the best software which is MacX DVD Ripper Pro. This software is the fastest DVD Ripper to copy, backup and rip DVD to ISO/hard drive, rip DVD to MP4, FLV, MOV, MPEG AVI, WMV etc. This DVD ripper software gives you full access to protect DVD movies by getting rid of the copy protection. It strips CSS encryption, Sony ARccOS encryption, RCE Region protection, Disney X-project DRM, etc. Powered with NVIDIA CUDA, this DVD Ripper for Windows (10) demonstrates its speed excellence, costing 5 minutes only in copying a 2-hour DVD movie. And with 350+ preset profiles, the DVD ripper makes it hassle-free to convert DVDs for playback on iTunes, QuickTime, Apple iPhone iPad, Android, PS4, TV, etc. You can also clone DVD to ISO image at 1:1 ratio and copy DVD title to MPEG2 and MKV with all videos, audios, and subtitles. Digitize your DVDs to protect them from scratch or damage and enjoy them anywhere anytime. 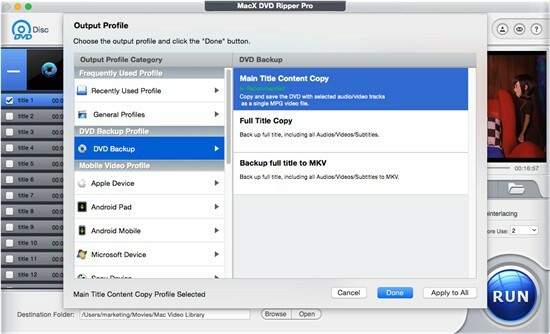 MacX DVD Ripper Pro has simple settings and process to copy your DVD on Mac. Follow the Steps below to get the job done. Step 1. Insert the DVD on your Mac and open the MacX DVD Ripper Pro. Step 2. Click on DVD Disk to load up the disk in the app. Step 3. Click on output Format and choose the mode you want to copy to. Be sure to check the high quality engine checkbox in the app. Step 4. From the output format, choose how you want to copy the DVD. 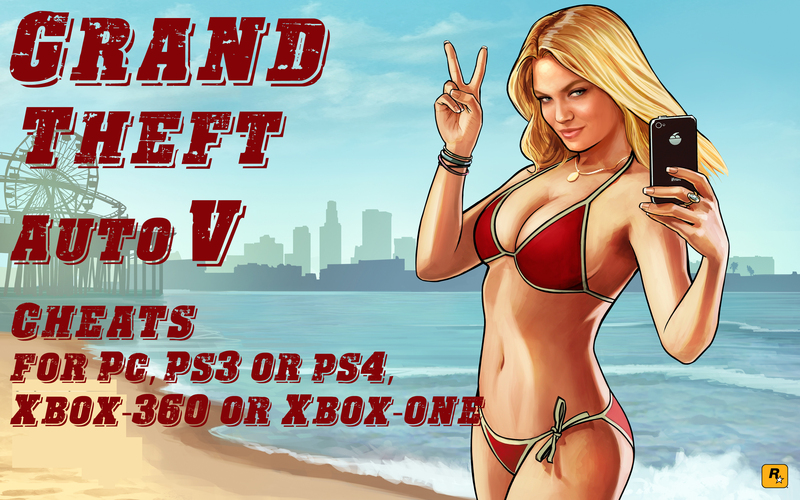 Choose the main title copy to copy everything from the DVD, including the extras. Step 5. If you want to only export the video in one specific format, click on general profiles and choose between MP4, MOV, iPhone or Android format. Step 6. Once you’ve chosen the format, choose the output destination and click the Run button and wait for the app to do its job. Once the conversion is completed, you will have the video file on your Mac. While ripping your DVDs you may face some errors, below I list some common DVD rip/copy errors with the solutions. When you face this error initially try to clean your disc with soft duster cloth. Also, you can use another computer to digitize your DVD movies or TV episodes. If again the error exists change a DVD drive or adjust DVD drive settings or the best way is to restore to a more reliable DVD ripper like MacX DVD Ripper Pro. Check on your disk to see if it’s physically damaged or scratched, fix scratched DVD. If you’re using DVDFab to rip DVD Hotel Transylvania 3 and Goodbye Christopher Robin to ISO image, please disable path player at the settings to see if the DVD ripper hangs error solved. Always upgrade your DVD backup software to the latest version. If the DVD ripper crashes at half way while ripping DVD, check if your graphics card has the latest drive update. When the tool can’t rip all episodes or all main episodes show up as one title. In this case one type of TV series DVD only contains one long title, which needs you to manually cut the long title into several titles with shorter duration. And keep in mind that each episode should start with 0:00 time display. Then begin to rip episodes from DVD. When you face this error, store your current DVD ripping program away and use the powerful MacX DVD Ripper Pro to rip Disney DVD, Lionsgate DVD movies and workout DVD. 1). Make sure that your DVD player software has hardware acceleration enabled. 2). Give up backing up some old DVD discs (e.g., DVDs released in 1990s) since they might be in letterbox format and don’t correct for the dropped frames. 3). Use VLC media player to solve audio out of sync problem during playback. 4). Buy a professional Digital Audio Delay device if you have enough budget. It’s a little bit expensive, around $200 – $300. 5). Re-rip your DVD with a better DVD ripper and adjust output video frame rate to 29.97FPS for NTSC DVD or 25FPS for PAL DVD before ripping disc. If you still failed to rip DVD, read the step by steps guides to find solution for all errors. You won’t regret, give it a try and download the free MacX DVD Ripper pro app and start using it. Complete a 1-minute survey (for computer users) or submit a valid email address (for mobile users) to get a licensed copy of MacX DVD Ripper Pro for free. Also, take a part in MacX DVD Ripper Pro giveaway and win iPad Pro, Netfix gift card and more prizes by sharing the campaign on Facebook before Feb 20, 2019.